Read about our first day of the Eilat Campus (exploring the Northern Arava and the Ovda Valley), our third day (exploring the Southern Arava) or our fourth day (visiting the Timna Valley). After rising early and having a hearty go at the ample breakfast buffet, it was time to recommence our trip, with today being broadly dedicated to the area of Eilat itself and the Eilat mountains. We began the day at the area of Umm Rash Rash, the forerunner to the city of Eilat. The area does not have a long history of settlement due to the lack of water resources (the ancient city of Eilat and later Ayla is modern-day Aqaba, across the bay in Jordan), but at some point in the Ottoman period some fishers from Aqaba began to base themselves out here and in the early 20th century an Ottoman army outpost was built to prevent any future British shelling of Aqaba. After WWI, the outpost was taken over by the British. Here we heard the story of Operation Ovda (Operation ‘Fact’ – the idea being that it would create facts on the ground), the last operation of the Israeli War of Independence. The majority of the Negev desert was not under Israeli control and the Prime Minister, David Ben Gurion, saw it is strategically vital to do so, both in order to secure extra space for the pending waves of immigration, and also to have access to the Red Sea for trade purposes. However with the war in its final stages and ceasefire negotiations ongoing, the position was tricky. Hence Ben Gurion ordered the Israeli army to take the area of Um Rash Rash with two sets of troops approaching from the east and west, without firing a shot. Our guide told us the remarkable story of how this was achieved, culminating in two jeeps of soldiers arriving at the deserted Umm Rash Rash post. 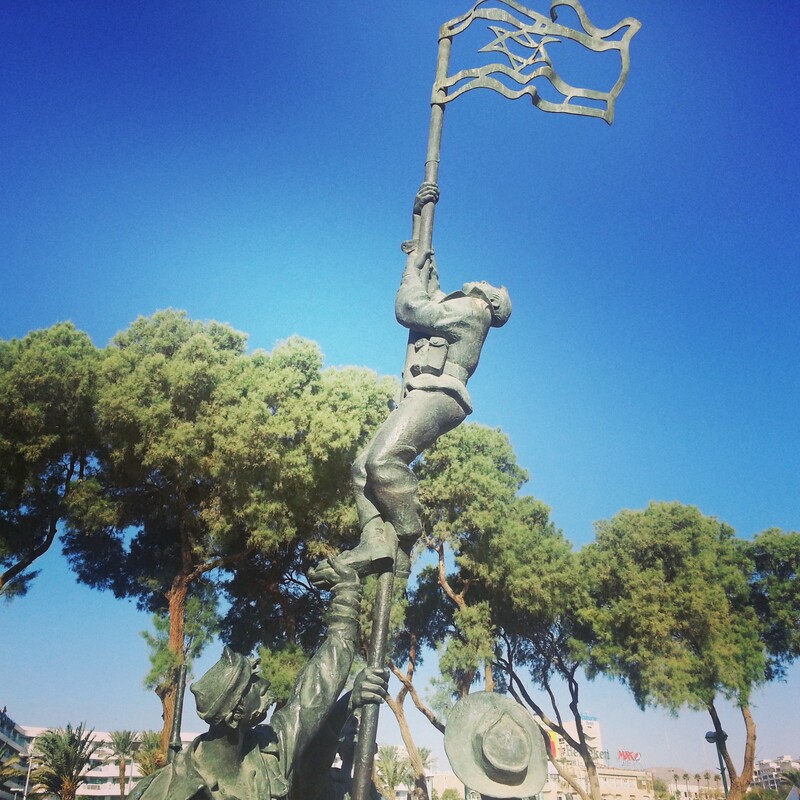 Here was Israel’s Iwo Jima moment – there happened to be a photographer in the jeep who snapped the historic moment of the raising of their homemade ‘ink’ flag; now there is a sculpture at the site in memory of the occasion. 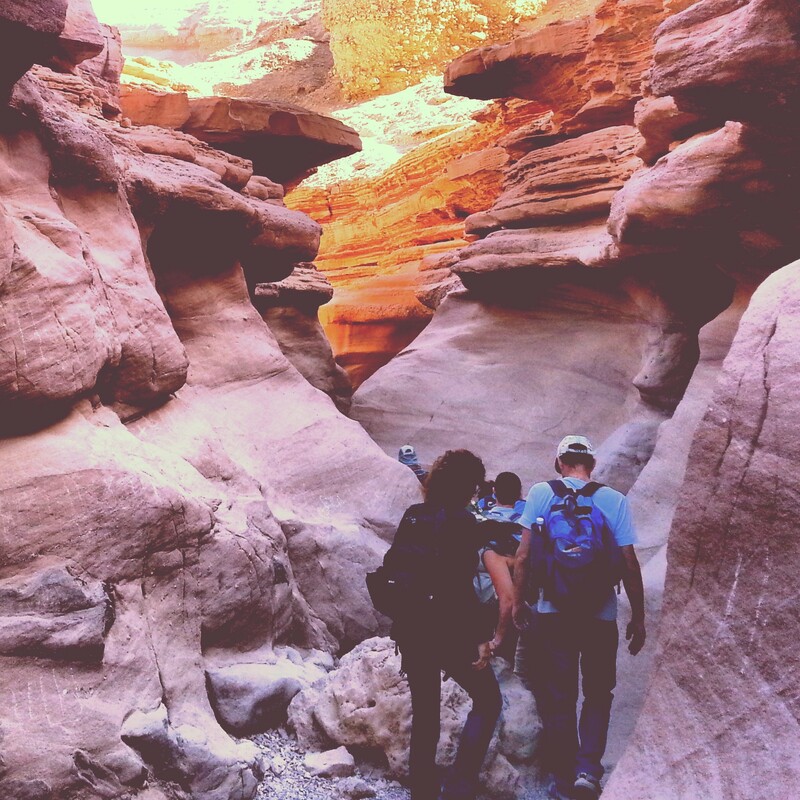 We then headed north, along the border with Egypt, deep into the Eilat mountains, for a hike in what is known as the Red Canyon. There is a great deal of red sandstone in the Eilat mountains, formed by erosion of local granite. The hike was just the right level of challenging for me with some lovely views and occasional explanations from our guide about local flora, fauna and geology. Today was to be the most physically exerting of the campus as we travelled south for a hike through Nachal Shlomo, culminating at the peak of Mt Tzefachot. Our course coordinator had specifically scheduled the Eilat campus at this time of year so that we would be able to enjoy the area in comfortable temperatures (Eilat is the hottest part of Israel) but we were rather unfortunate in that our visit coincided with a ham sin (a heat-wave). Hence we found ourselves making the at times rather steep ascent in temperatures of around 32C! Still, the physical effort was worth it, the view from Mt Tzefachot is quite simply outstanding. Looking north, one sees the many colours of the Eilat mountains; south the view expands over the bay of Eilat. It is also known as the ‘Four Countries Viewpoint’ as in addition to a view over Israel you can see deep into the Sinai Peninsula (Egypt), have a good view of Jordan and can even see the northwestern parts of Saudi Arabia. We sat in silence for a good few minutes at the top, enjoying the rush of the wind and the breathtaking view. No pictures can do this justice! Having finished the hikes, our final stop of the day was at the Eilat Underwater Observatory – the first underwater observatory in the world! 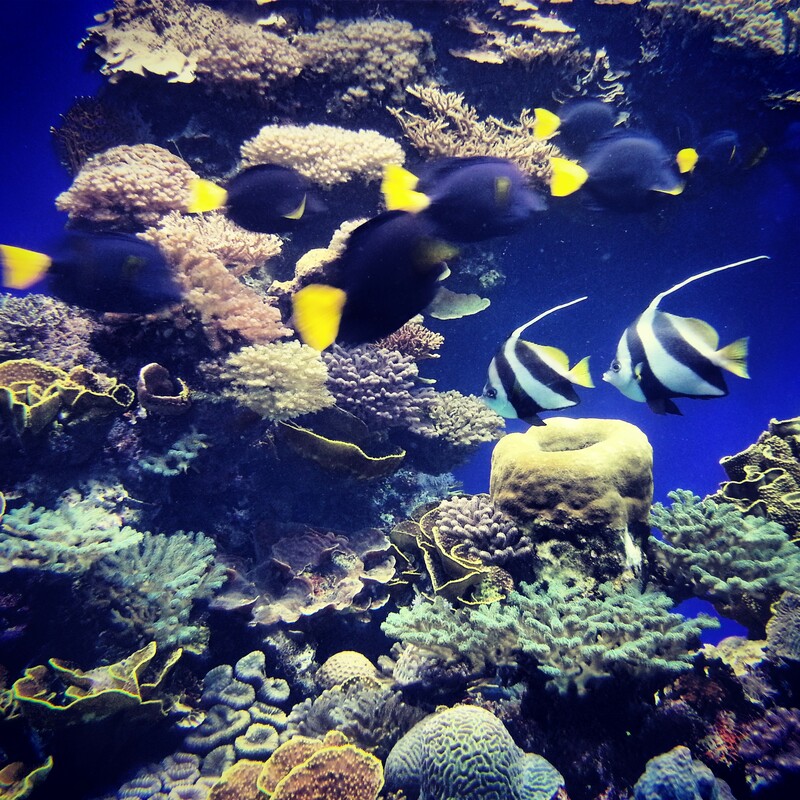 There is a beautiful coral reef along the edge of the Red Sea and using the observatory it is possible to descend and look out on multi-coloured coral and the beautiful fish that live together with it. The site also has an aquarium of local fish and various other attractions – I remember enjoying previous visits as a child with my family so there was a bit of nostalgia here. A nice treat to end the day!